From October 27 until November 27 the Estonian Museum of Natural History presents a selection of photos from this year's Bloodless Hunt competition. 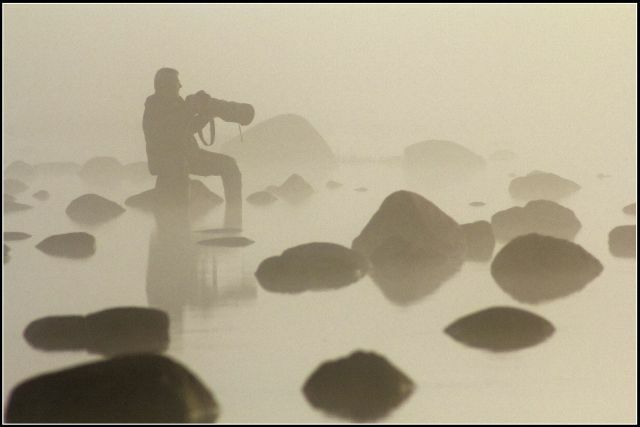 On May 20 this year, nature photographers gathered at Pootsi in Pärnumaa County, to hold the fourteenth annual photo competition called "Bloodless Hunt". The hunt took place in the Jäärumetsa hunting district of the State Forest Management Centre (RMK). The Bloodless Hunt is very much like a real hunt, but with cameras instead of weapons, memory cards instead of ammunition, and nature photographs as the catch. Hunters lay in ambush from early morning till late night. The event lasted from the evening of May 20 until midday, May 22. The main target of this year’s hunt was the woodcock, but anything everywhere was fair game – in the water, in the air, and on the ground. The targets of past years include roe deer, wild boar, elk, brown bear, lynx, black grouse, capercaillie, badger, otter and pine marten. The Bloodless Hunt has been held since 1997.